The Samsung Galaxy Premier has appeared online again, with another benchmarking site leaking details about the rumoured smartphone. 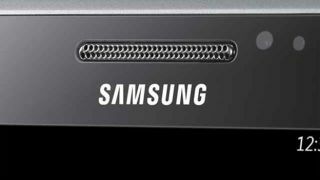 More details have now appeared, this time on the GL Benchmark website, which shows the Galaxy Premier as packing a PowerVR SGX 544 GPU, alongside two 1.5GHz Cortex-A9 processors. In terms of benchmark results, as we saw last week with the Antutu leak, the Galaxy Premier looks to be a pretty middle of the road handset, but it's still running a development version of Jelly Bean, so performance may increase in the finished product. According to rumours the Samsung Galaxy Premier is also expected to have a 4.65-inch Super AMOLED HD display, 8MP rear camera, 2MP front facing camera and measure 133.97 x 68.1 x 8.8mm. Samsung is yet to confirm or deny the existence of the Galaxy Premier, and there's currently no word on its potential release date or price.